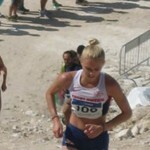 UKA Mountain Running Champions and Trials winners Steve Vernon (coach: Dave Turnbull) and Victoria Wilkinson lead a 15-strong Aviva Great Britain and Northern Ireland into the 10th European Mountain Running Championships in Bursa, Turkey (10 July). 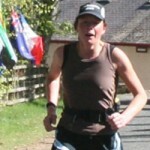 Wilkinson, 20th in September’s World Mountain Running Championships and the best placed British senior finisher in last year’s European event in tenth, will be hoping the senior women’s quartet can better their fifth place team finish from 2010. 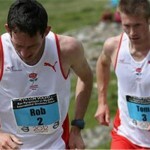 Vernon’s, whose last international outing was an impressive 13th place finish in the World Mountain Running Trophy in 2008, is joined by fellow Aviva GB & NI representative and marathon specialist Andi Jones (coach: Bob Merrell), in addition to Adam Osborne, 56th in last year’s European Mountain Running Championships and the only member of the seventh-placed senior men’s team to return in 2011, and Nick Swinburn. Scottish duo and Trials winners Scout Adkin (coach: Gregor Nicholson) and Garry Rankin (coach: Robert Hawkins) head up the Aviva GB & NI junior teams and both athletes should take confidence from their credible performances at world level in the past 12 months, finishing 13th and 15th respectively in last year’s WMRA Youth Mountain Running Challenge. The junior men were the only British medallists in Bulgaria 12 months ago and will have to work hard to match that performance on this occasion, while the junior women’s trio will be aiming to build on last year’s fifth place finish.